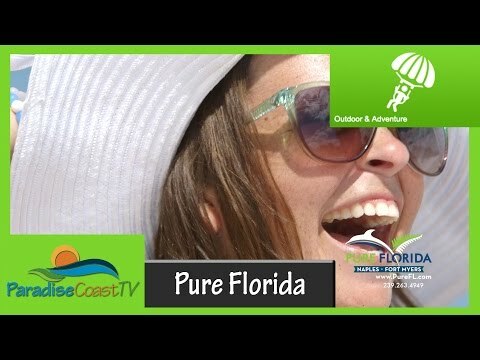 Pure Florida offers everything you need for family fun on the water including daily, narrated sightseeing cruises aboard the M/V Double Sunshine. Pure Florida connects you with all of Naples' most enchanting sites, like dolphins playing, local wildlife and luxurious homes, while you discover the Gordon River, Naples Bay and the Gulf of Mexico. Learn about local history and enjoy a special cruise on Saturdays at 10 a.m. where kids ride FREE with a paying adult. Pure Florida also offers boat rentals, Jet Ski rentals and tours, group fishing trips and private fishing charters, eco tours and jet boat thrill rides on Jet Boat "ODIN," which provides a 360-degree adrenaline rush as it turns and speeds up to 39 miles per hour. Private cruise events on board our boats can be created just for you with your choice of catered food options and entertainment. A cash bar is on board with clean, onboard facilities. Bring your camera and create photographic memories that will last a lifetime! Tour Schedule: 10 a.m., noon, 2 and 4 p.m. and 1 hr before sunset. Note 4 p.m. tour is seasonal. Design and schedule your own cruise for your next meeting event! Try a nature encounter, history cruise, shelling and beachcombing cruise, or just fish your heart out. Charter the 149-passenger M/V Double Sunshine for a sunset wine-tasting cruise or cater a full dinner buffet on board. Take your group (up to 23 passengers) on a thrill ride on Southwest Florida's only Jet Boat, the exciting ODIN. Book to arrange a group fishing outing in Naples Bay off the Gulf of Mexico for up to 20 people on a single fishing boat.